The crossroads, the new paths, the opportunities – what is it that stops you from taking the leap? There are many times we come across a big decision that sometimes we don’t know how big they are until we get to the result. For some taking that leap of faith in themselves is too much, for some people it’s too scary, for some it’s merely circumstances. Taking a leap of faith is never easy but if you want to soar it’s something you have to do. We all wonder why others are so successful but the same is not happening to me, the fact is they decided to take that leap of faith, they knew their safety parachute would not open straight away, they would incur some bumps and bruises along the way. It’s understandable that there are times in our lives where we just can’t go through with a plan or opportunity but don’t let that get you down. Life will always give you opportunities when you look for them in the right places. If you can afford to though, mentally, physically, emotionally – take that leap, make the change needed, your safety parachute will open in time and that’s when you begin to soar so you will never know what you are destined for until you take that leap. 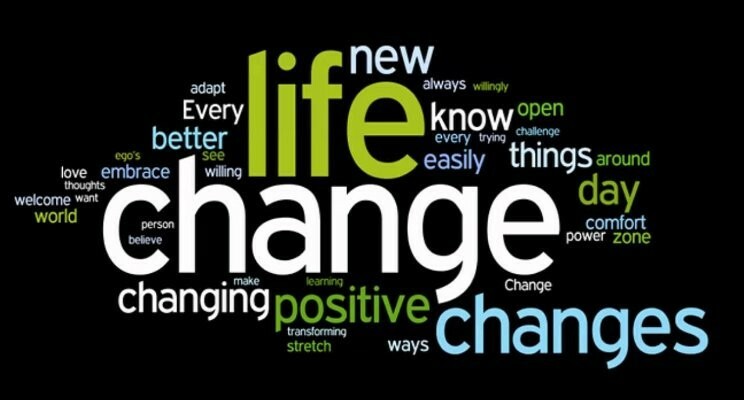 Change is good for many reasons, it refreshes the mind, the body, the goals, the outlook, perspectives on life and getting the time to refocus like that, what better a result could you ask for? What changes could you make to root for yourself and make life work for you? Rather than you work for life?